If you are facing a ticket, misdemeanor, or felony in Birmingham Michigan, you should never face it alone. Your future is too important to gamble against stern Judges, wily Prosecutors, Birmingham police officers, Birmingham detectives, and the money and vast judicial and law enforcement resources at their disposal. Results matter, and there is nothing more important than achieving the best possible results, given the facts of your case. Having a well regarded attorney that does not blink when facing against prosecutors, and who immediately gets to work on your file no matter what the situation you are encountering, grabbing every advantage on your behalf is the attorney you need. Your greatest hope of obtaining an awesome outcome is to have a attorney with intelligence, legal ability, and the earned respect of the Judges and prosecutors, on your side fighting for you. 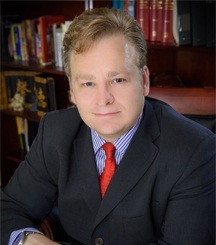 Attorney Daniel Hilf of Hilf & Hilf, PLC is the attorney you need to contact for your case. In the defense of your case, there is no margin for error or anything short of diligent and thorough legal counsel. Attorney Daniel Hilf's duty is to defend individuals facing accusation, no matter what the accusation may be. Attorney Hilf is not here to judge you, but is only here to help in a compassionate, thoughtful manner. Attorney Hilf is here to respect your privacy by maintaining your confidence, and to shape your defense in the most effective way to your largest advantage. Attorney Hilf wants to help you put your Court matter behind you, and to try and return your life to how it was before. Falsely Accused of a Crime or Overcharged in Oakland County Michigan? Hilf & Hilf, PLC Can Help You. The worse circumstance possible is being falsely accused of a criminal offense. Defending a client who happens to be a victim is most stressful type of legal representation, which is meant to be handled by only top notch criminal defense attorneys like attorney Daniel Hilf. The criminal justice system is fundamentally flawed, and unfortunately innocent persons are prosecuted for many different reasons, including: prejudice; biases; lies; deception; false assumptions; errors made by police officers; conscious efforts by police officers to target certain individuals; and Constitutional law violations. Police officers often jump to conclusions that are not always correct. Police officers and detectives often use their position to build cases consistent with their individual judgments. Lawyer Hilf pledges to do everything in his power to prevent a false conviction from occurring on his watch by working long hours on his cases, thoroughly investigating files, and using all of his legal acumen and resources to fight for his clients. In Birmingham Michigan sometimes Defendants are "overcharged", which also leads to improper convictions and harsher sentences. Overcharging is when the prosecutor chooses to bring a criminal charge against an individual for more serious conduct than what actually occurred. For example, an individual who was involved in a simple assault and battery might be improperly charged with a felonious assault based upon the alleged use of an object as a weapon. Winning sometimes means being convicted of what the actual conduct was and not a trumped up accusation. Part of your attorney's job is to fight any false preconceived notions and challenge the testimony of witnesses. Upholding the United States Constitution, protecting client rights, persuasion, and compassion all play vital roles attorney Hilf's legal defense. It is advisable to do your homework to research your attorney From your homework you will find that attorney Daniel Hilf offers award winning representation, with his over 20 years of solid criminal defense experience, with extensive trial experience, representing thousands of satisfied clients during the course of his career. Attorney Hilf is available for you to retain today to work for you. Do You Need To Appear at 48th District Court, Oakland County Circuit Court, Federal Court, or another Court? Call Hilf & Hilf, PLC and reduce your stress and anxiety by letting an established legal professional defend you. Contact Hilf & Hilf today and ask for attorney Daniel Hilf. Legal help is only a phone call away!